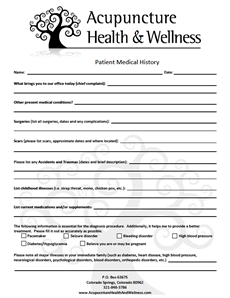 Print and complete the Mandatory Disclosure, Patient Information and Medical History forms. 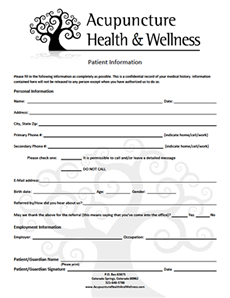 Filling these out beforehand will save you time at your actual appointment. 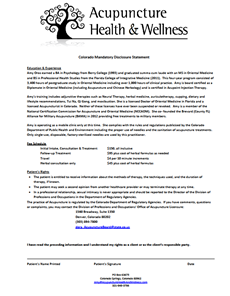 Please call if you have any questions. 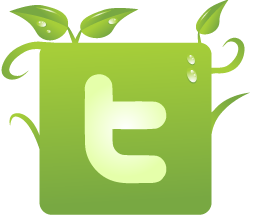 We look forward to working with you towards your good health. 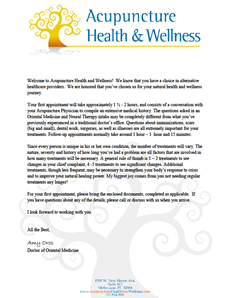 Simply open and read the Welcome Letter.